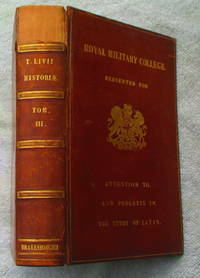 London: Rivington, 1827. odd volume, full calf binding with five raised bands on spine, a bit scuffed, gilt decoration fading, binding still quite sound, text block sound and clean, apart from soiling to two pages in the index. 502 pages. This volume begins at Book XI. Text is in Greek. The copious notes are in English.. First Thus. Full-Leather. Very Good/No Jacket. 8vo - over 7¾" - 9¾" tall. London: Valpy, 1822. 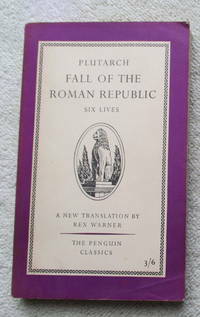 Odd volume, spine with four raised bands, portion above top band gone, spine and boards generally worn and damaged at corners, text block however clean, sound except for foxing on final couple of leaves, 432 pages.Text and notes all in Latin.. First Thus. Half-Leather. Good/No Jacket. 8vo - over 7¾" - 9¾" tall. London: Penguin, 1958. Generally clean sound copy . First Thus. Paperback. Very Good/No Jacket. 12mo - over 6¾" - 7¾" tall. London: Penguin, 1965. Generally clean sound copy . First Thus. Paperback. Very Good/No Jacket. 12mo - over 6¾" - 7¾" tall. London: Thames & Hudson Ltd, 1995. corrected edition, owner name on endpaper, else generally fine.. Revised Edition,. Paperback. Very Good/No Jacket. 8vo - over 7¾" - 9¾" tall. London: Thames & Hudson Ltd, 1991. nice clean sound copy.. Reprint. Paperback. Very Good/No Jacket. 8vo - over 7¾" - 9¾" tall. 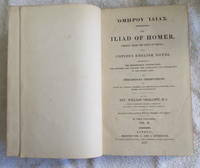 London: Cadell and Others, 1835. recently rebound retaining original boards and endpapers (I needed the practice), text in Greek and Latin, text sound and tight, though with some soiling and handwritten pencilled notes in various places, especially the extract from the Iliad. 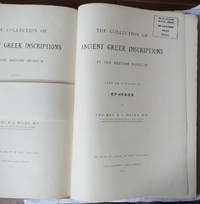 The 145-page dictionary at the rear is Greek-English. Stamp of Bridgnorth School. Owner's name, James McAdam Jr. dated March 1836. Old schoolbook.. Reprint. Hard Cover. Fair/No Jacket. 12mo - over 6¾" - 7¾" tall. 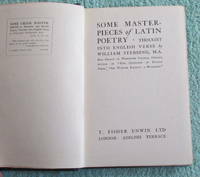 London: T. Fisher Unwin, 1920. blue cloth, small tear at spine head, spine lettering faded, corners bumped, book edges darkened but text clean and unmarked. 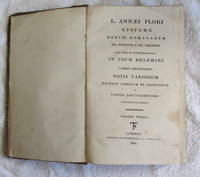 Text is in English.. First Edition. Hard Cover. Good/No Jacket. 8vo - over 7¾" - 9¾" tall. 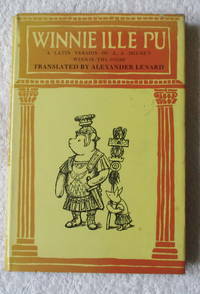 T. Livii Patavini Historiarum Ab Urbe Condita Libri Qui Supersunt Omnes. Ex Recensione Arn Drakenborchii Accedunt Notae Integrae J. B. L. Crevierii Indice Rerum Locupletissimo, Tom III. 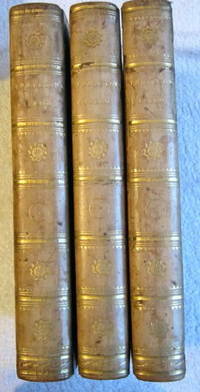 London: Whittaker and Co.; Longman Brown and Co and Others, 1843. odd volume - final volume of this edition, with extensive index, full leather prize binding of Royal Military College, missing top part of spine, leather hinges cracking, all edges gilt, small dampstains affecting top of endpapers, but not into text block, which is sound and tight.. Reprint. Full-Leather. Good/No Jacket. 8vo - over 7¾" - 9¾" tall. 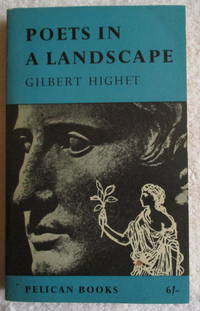 London: Methuen, 1970. slight wear to dustwrapper at some edges, text block with some foxing at edges, but a nice copy.. Reprint. Hard Cover. Very Good/No Jacket. 8vo - over 7¾" - 9¾" tall. 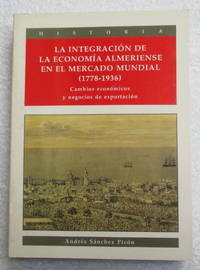 Spain: Instituto de estudios Almerienses, 1992. generally fine copy. Errata slip enclosed.. First Edition. Soft Cover. Very Good/No Jacket. 8vo - over 7¾" - 9¾" tall. Antwerpiae: Apud Aegidium Radaeum, 1582. pages (12), 274, in later binding of boards covered with marbled paper, 19th Century German, I think, paper label on spine now illegible, binding worn at spine ends and around edges, occasional underlining and other ink marks in text, though not affecting legibility, marks of old dampstains here and there in foredge margin, text block otherwise tight and sound. Old owner's bookplate and signature on endpapers.. Second Edition. Hard Cover. Good/No Jacket. 12mo - over 6¾" - 7¾" tall. Leipzig: Bibliographisches Institut, Leipzig, 1924. 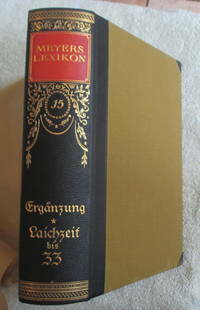 Fifteen volumes of the encyclopaedia published from 1924 to 1933, complete, as far as I know. 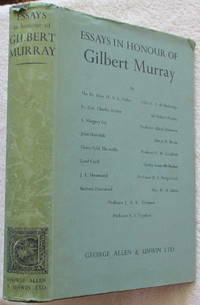 The volumes are mostly in individual protective cardboard slipcases as originally issued, with further protective paper dustwrappers.One volume has sustained minor damage at the spine in the label area, which makes me think it was a slightly damaged set withheld from sale by either a bookshop or the publisher. There is no indication that the set has ever been used. Binding is half-leather (or possibly imitation leather), with red and gilt on spines, some endpapers and edges with foxing, lavishly illustrated throughout with colour and monochrome illustrations. generally a unique copy.. Volumes 1-12 are dated 1924 to 1930. Vol 13 is dated 1931. Vols 14 and 15 are dated 1933, which brings them into the 'braune' (Nazi) area. Shipping will need to be negotiated, as this is a rather large item. Illustration shows a typical volume.. Seventh Edition. Hard Cover. Very Good/No Jacket. 4to - over 9¾" - 12" tall. 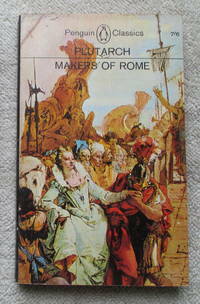 London: Penguin, 1959. slight paper darkening, else fine fresh copy. 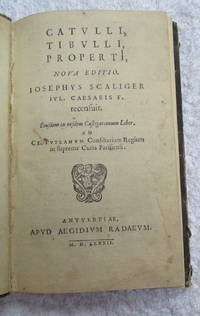 The poets are Catullus, Vergil, Propertius, Horace, Tibullus, Ovid and Juvenal. First Thus. Paperback. Very Good/No Jacket. 12mo - over 6¾" - 7¾" tall. 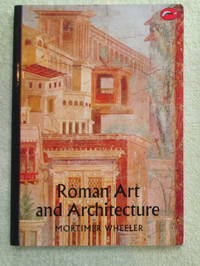 London: Allen & Unwin, 1936. dustwrapper worn at top edges, otherwise nice copy.. First Edition. Hard Cover. Very Good/Very Good. 8vo - over 7¾" - 9¾" tall. Oxford: Clarendon Press, 1890. quarter-cloth and paper-covered boards, some bumping to corners, text block fine. 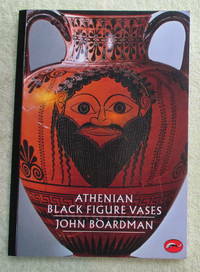 Stamped on title page: British Museum Central Library: Withdrawn from Stock. 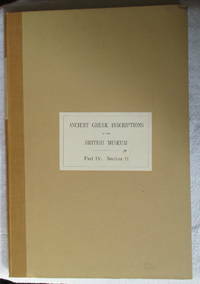 This volume begins at Chapter 3, page 69, and deals with Ephesos alone.. First Edition. Hard Cover. Very Good/No Jacket. Folio - over 12" - 15" tall. Oxford: Clarendon Press, 1916. quarter-cloth and paper-covered boards, some bumping to corners, text block fine. This volume begins at Chapter 4, page 107. Final part of a protracted cataloguing task, begun in 1893.. First Edition. Hard Cover. Very Good/No Jacket. Folio - over 12" - 15" tall. 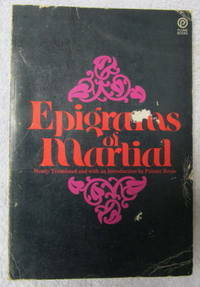 NY: Plume / New American Library, 1970. some creasing to covers, page edges darkening, else nice copy.. First Thus. Paperback. Good/No Jacket. 8vo - over 7¾" - 9¾" tall. London: Vernor and Hood, J. Cuthell, J. Walker, Etc., 1801. three volumes complete, in full tree calf binding, frontispiece in volume one, pp xxxvi, 449; 467; 404, xxxix.hinges and boards all well attached, no raised bands, spines evenly sunned with gilt decoration a bit faded, some rubbing on boards where original varnish has worn off, some darkening in text but overall a clean sound copy.. New Edition. Full-Leather. Very Good/No Jacket. 8vo - over 7¾" - 9¾" tall. 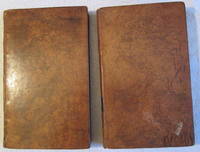 Oxford: Bliss and Baxter, 1812. two volumes complete, in full tree calf, slight damage to leather on two boards, bindings otherwise sound, some darkening in text but text blocks generally clean sound and tight.. New Edition. Full-Leather. Very Good/No Jacket. 8vo - over 7¾" - 9¾" tall.